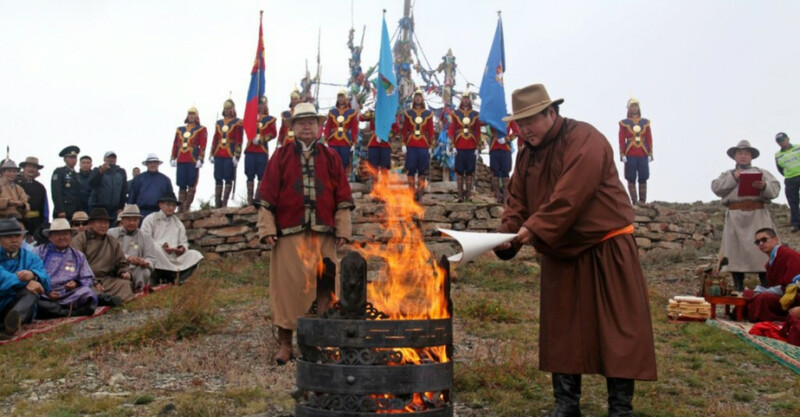 Currently, fire praying is held once every three years in territory pf Binder soum of Khentii province from 2005. This event is held in historical plate which as The Great Mongol Empire was declared "In 1206 and the Mongolian tribes and people became friendly and peaceful, great convention was held in beginning of Onon river in year of the Tiger, nine state flags were erected and Temuujin was enthroned as Khan in accordance with The Secrete History of The Mongols. The President of mongolia arrives in such even n accordance with tradition and domestic and foreign many tourists arrive in such event.